Final January run to see over 30 new models debut. 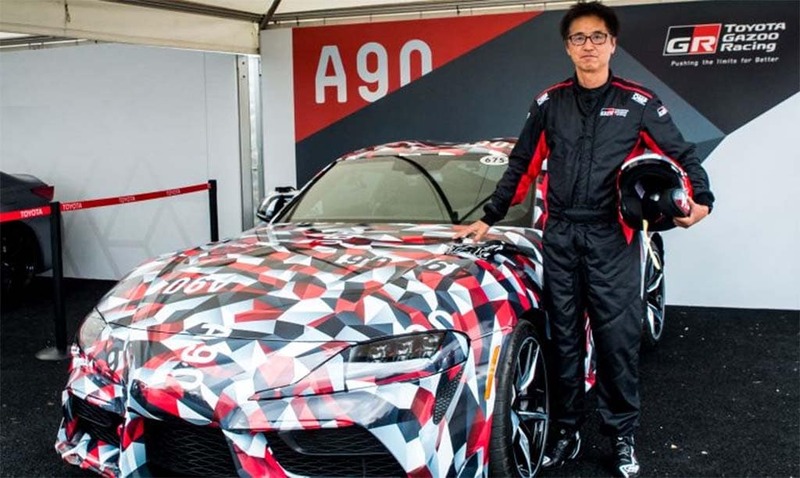 Toyota showed us a well-camouflaged Supra with chief engineer Tetsuya Tada at the Goodwood Festival. The Detroit Auto Dealers Association has inked a seven-year deal with the City of Detroit that will ensure that the North American International Auto Show keeps running through at least the latter part of the next decade. The deal also locks down the move from January to June that DADA, the sponsor of the show, announced earlier this year. That is expected to prove critical if the Detroit Auto Show is to regain its former glory or, at the very least, keep from slipping into second-tier status, something that seemed all too likely in the wake of a painfully quiet 2018 event that saw a single official media day wrap up the new car debuts shortly after noon. The 2019 North American International Auto Show will clearly not have the luster of years past. Virtually the entire European contingent – including brands like Audi, BMW, Jaguar and Meredes-Benz – plan to sit it out. But there will still be enough on the calendar to keep the spotlight lit. Among the products set to make their official debut at the Cobo Hall convention center are the long-awaited Toyota Supra and the Lexus RC F which is being hailed as the brand’s fastest and most powerful model ever, save for its limited-edition LFA supercar. The January running of the NAIAS marks the 30th anniversary of the event which, prior to 1989 had been little more than a sleepy regional show. The shift really justified the word, “international,” the very first NAIAS featuring the official debut of both the Lexus and Infiniti brands. 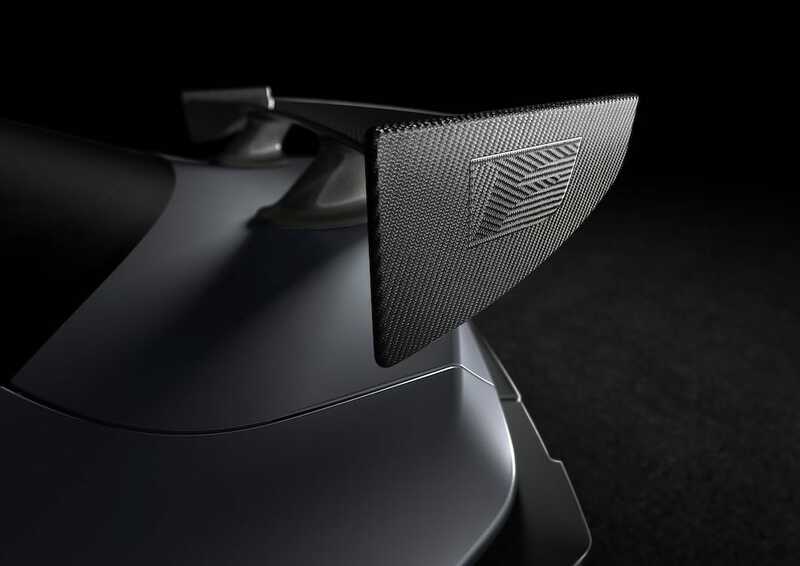 Toyota EVP Bob Carter said Lexus will debut a new RC F "track car" next month at the Detroit Auto Show. Perhaps ironically, considering Detroit is home to General Motors, Ford and the Chrysler side of Fiat Chrysler Automobiles, the NAIAS has traditionally had a strong Asian presence. And that will continue this year with not only the Lexus and Toyota debuts but at least two from arch-rival Nissan and its Infiniti division. Both are expected to feature electrified drivetrains, based on hints global design chief Alfonso Albaisa has been dropping – though it’s unclear whether that will mean hybrid, plug-in or pure battery-electric. The latter seems a strong possibility, however, as the Cuban-born designer suggested they will build upon the cab-forward design of the Q Inspiration model that was one of the big hits at the 2018 NAIAS. Honda has likewise been a strong and regular presence in Detroit and could follow up with more this coming year. The Koreans had a lot to show in Los Angeles this month, including the big Hyundai Palisade and the new Kia Soul, but they have plenty more coming that could mean some news in Detroit. General Motors was a surprise no-show at the 2018 North American International Auto Show – at least in terms of an official news conference, instead opting for an off-site preview of products including the Chevrolet Silverado a day ahead of the official media day schedule. Company officials have been sounding a less-than-enthusiastic note about any formal media debut next month but could have a few surprises. A pic of the 2020 Shelby GT500 leaked out onto the Internet from a Ford dealer show. Both FCA and Ford are expected to be back, the former reportedly planning to reveal the new Power Wagon based off the completely redesigned 2019 Ram 1500. The Blue Oval will bring out the new GT500 Mustang and, we’re expecting, something new from Lincoln, as well. We’ll have to get closer to the show to confirm there really are 30 launches coming. That would be an improvement over 2018, but still well short of past glory. At its peak, the show delivered as many as 70 new models in a single year and ran a full, three-day media preview. Things began to slip, ironically, as the U.S. automotive market began its long recovery from the Great Recession. Despite building up to record profitability, automakers began rethinking their approach to marketing, questioning whether auto shows, in general work as well as long perceived – especially considering the cost. A big display and a major news conference can cost $5 million or more, according to numerous industry planners. That’s led to a lot of rejigging across the industry as automakers look for alternatives that can be less costly or reach out to new and broader audiences, such as the annual Consumer Electronics Show and even the Pebble Beach Concours d’Elegance. 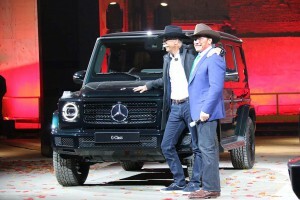 Daimler CEO Dieter Zetsche called on Governator Arnold Schwarzenegger to help him reveal the Mercedes G-Class last year, but the Geman marque will be a 2019 no-show in Detroit. 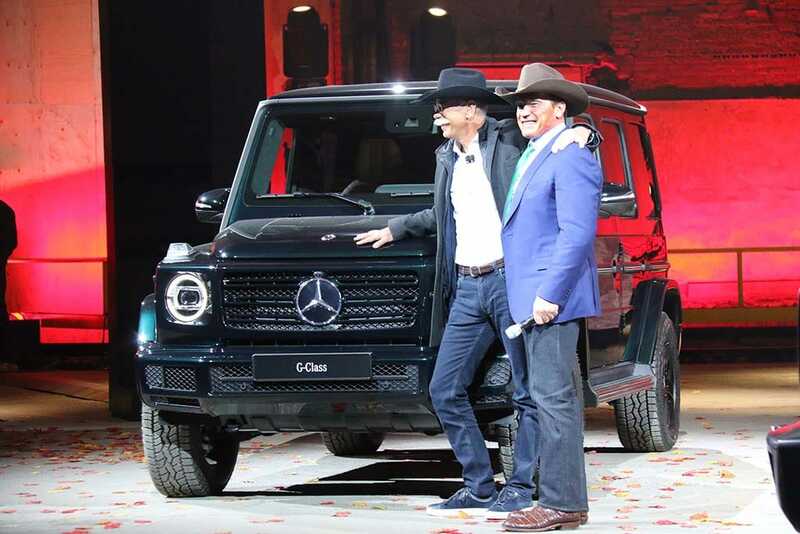 Auto shows, in general, have been feeling the hit, the Paris Motor Show, two months ago, saw barely as many debuts as did Detroit, and while there were some major debuts at the Los Angeles Auto Show early this month, it also was downsized from its heyday. CES, in particular, has posed a challenge for Detroit, automakers using the largest annual event in Las Vegas to showcase their increasing focus on electrification, autonomy and other high-tech features and services. Mercedes, for one, went to Sin City last year to reveal its new Amazon Alexa-like MBUX in-car personal voice assistant. Of course, that has long posed a challenge for Detroit, January being a time of blizzards and blustery squalls that can hold down attendance for both media and public days. With the 2020 shift to June, DADA believes it can not only ease the hassles of going down to the Detroit riverfront but create a much larger and more creative version of the NAIAS that is expected to spread beyond the confines of Cobo Hall, using some of the surrounding waterfront parks and other properties. They also intend to time the show so it pairs up with an assortment of other local events. That is expected to start with the annual running of the Detroit Grand Prix, and wrap up with the joint celebration with Canada marking both countries’ independence celebrations. Insiders tell TheDetroitBureau.com DADA is even trying to nudge other regional events, such as the annual Woodward Dream Cruise – which sees more than a million people turn out along the region’s main roadway – to shift from August to June, a month that will help highlight the dramatic turnaround of the Motor City itself. But all that is still more than 18 months away. The NAIAS still has one last rendezvous with Old Man Winter. This year’s North American International Auto Show will get underway officially on January 14th with two days of media previews. Industry insiders then will have two days of their own to look around and, as many do, pull out the cameras and tape measures to see what the competition is doing. The annual Friday night charity preview marks the start of public days on January 18th, and the show runs through the 27th. The 2020 NAIAS will follow the same approach, running from June 9th to the 20th. This entry was posted on Monday, December 10th, 2018 at and is filed under Acura, Audi, Auto Shows, Automakers, Automobiles, BMW, Business, Chevrolet, Daimler, Detroit, FCA, Fiat, First Look, Ford, GM, Hyundai, Jeep, Kia, Lexus, Lincoln, Los Angeles, Markets, Mercedes, NAFTA, Nissan, Paris, Porsche, Ram, Toyota, U.S./North America, Volkswagen. You can follow any responses to this entry through the RSS 2.0 feed. Both comments and pings are currently closed.